Duck is something I had never cooked before this dish. I sort of unexpectedly ended up giving it a whirl too. For my Mum’s birthday I asked her if she could have any dinner what would it be and I would cook it for her as a birthday treat. She initially said fish (which I was expecting) then decided she wanted tapas and so I began researching different tapas dishes, particularly the fish based ones and almost had my menu in order when she returned home from the supermarket with four duck legs and asked if I’d cook those for her birthday meal. Back to square one. 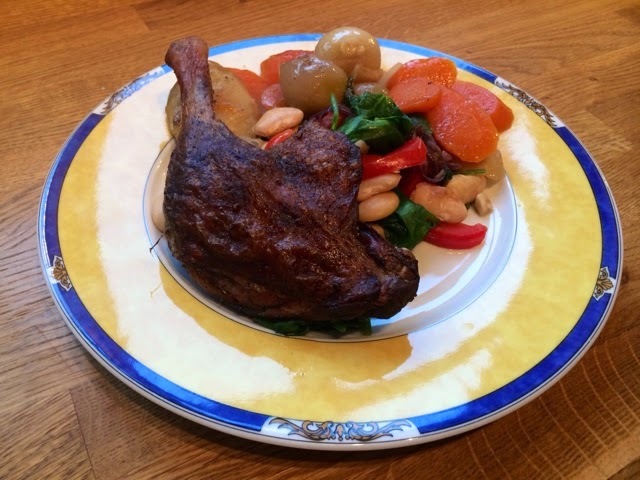 So I began researching duck recipes. 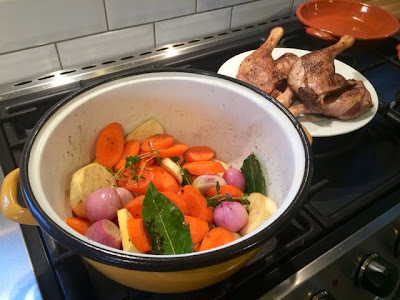 I really wanted to try making confit duck as it’s one of my favourite things to order when I see it on a restaurant menu, with a busy weekend planned I didn’t really have time to fit in the various processes. 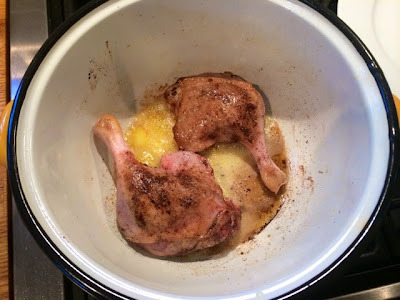 A little bit of further investigation and I came across this recipe for Crispy Duck Legs from Cooking in Sens. I’ve adapted it a little as I wanted more of a variety in the veg but have used the same basic ideas. For the original recipe click here. 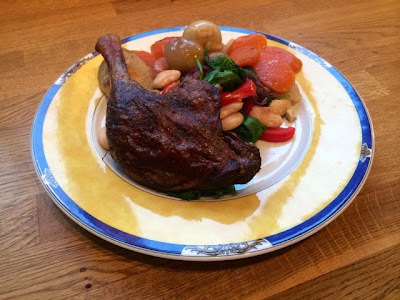 For me this was a really foolproof way of cooking the duck, I was worried about how it would turn out as duck is a notoriously difficult meat to get right but it came out perfectly. I’ll definitely be using this method again and mixing up my side dishes. 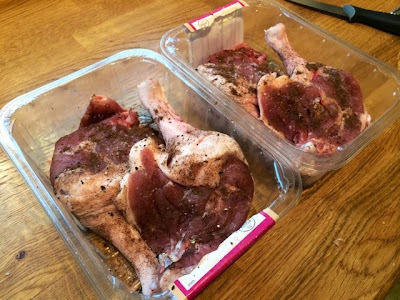 The photos make it look a little dry, but once you get past the crispy skin the meat is soft and juicy underneath and pulls really easily off the bone. I’d definitely recommend dishing up the remaining sauce from the casserole as a gravy as well, it brings the final dish together nicely. 2. Rub the allspice and salt and pepper into your duck legs ensuring you cover all sides. 3. Melt half the butter in a casserole dish on a medium to high heat. 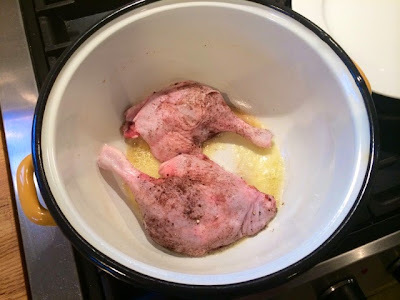 Add your duck legs two at a time and gently brown on both sides. Remove and set aside. 4. 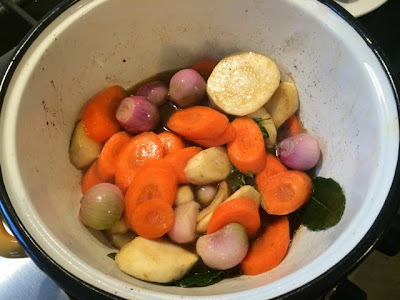 Add the carrots, parsnips, shallots, thyme and bay leaves to the casserole dish. Season with salt and pepper. Fry until carrots and parnsips begin to soften. 5. 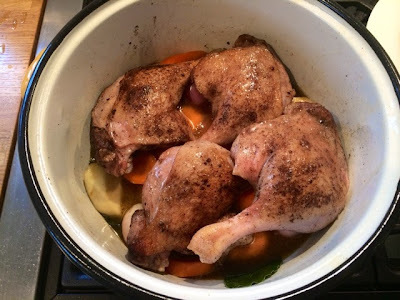 Pour the chicken stock into the casserole dish and return the duck legs to the pan. Place them on top skin side up and place the lid on the dish. Put the whole thing in the oven for one hour. 6. 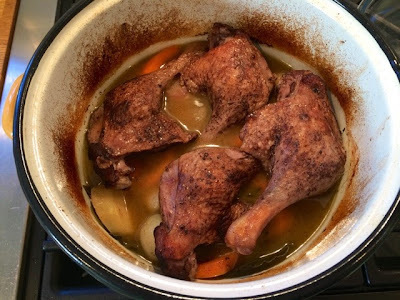 Remove from the oven, remove the lid from the dish and return the casserole to the oven for a further 30 minutes to crisp up the skin and reduce the sauce. 7. 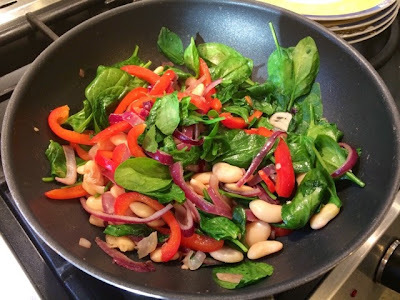 In the meantime make your spinach and bean stew. 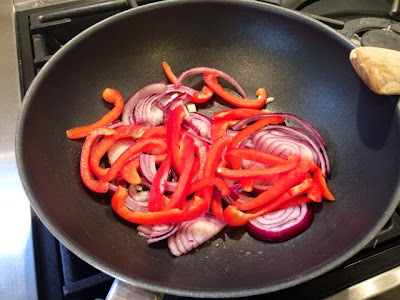 Gently fry the onion and pepper in a little oil. 8. 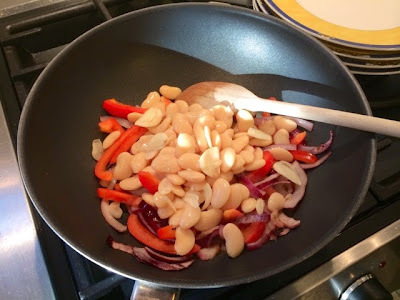 When they begin to soften add the butterbeans and garlic. Cook for a further 3-4 minutes. 9. 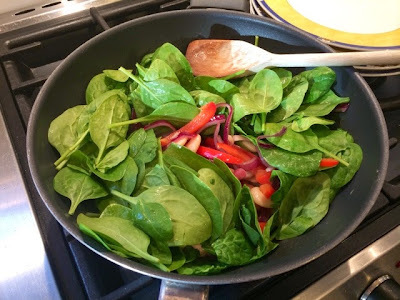 Throw in the spinach a handful at a time, stir through and allow to wilt. Season with salt and pepper. 10. Remove the casserole dish from the oven. 11. 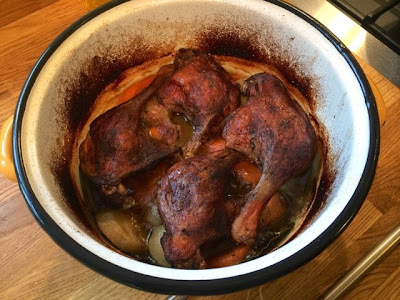 Serve each duck leg on a bed of the spinach mixture and dish up the carrots, parsnips and shallots from the pan on the side. Spoon over a little of the sauce from the pan and put the rest on the table in a gravy boat.